The City of Norwalk has roots leading back to the Revolutionary War. The land for the settlement was given to residents of Norwalk, Connecticut, which had been destroyed by forces loyal to the British during the war. 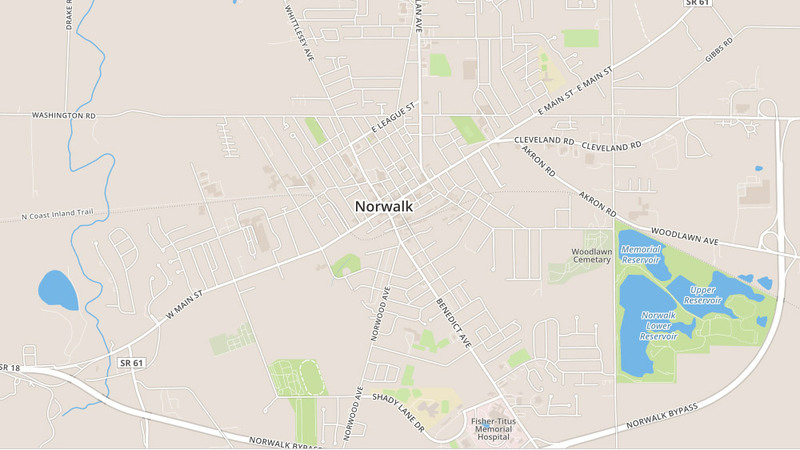 Since then, Norwalk established itself in numerous industries, including manufacturing, transportation, and construction. Among its many museums and outdoor activities, residents that enjoy motorsports can check out the historic Summit Racing Equipment Motorsports Park. Explore homes for sale in Norwalk, Ohio today. Looking for homes for sale in Norwalk, Ohio? You’ve come to the right place. For more than 80 years, Bolte Real Estate has been helping its clients discover the very best homes for sale in Norwalk, Ohio. With listings across the community, our team of talented, experienced agents will help you find the perfect home for sale in Norwalk, Ohio. Explore listings available below, or contact us to start your search for homes for sale in Norwalk, Ohio. If you find a home you’d like to learn more about or want to visit in person, simply complete the form for that property or contact the listing agent for it. We will be in touch with you right away to assist you.